Jeff and Allegra's wedding was so incredibly pretty that it truly belongs on a magazine cover. I worked with Peach and Oak Photography on this one, and it was such a fun day. 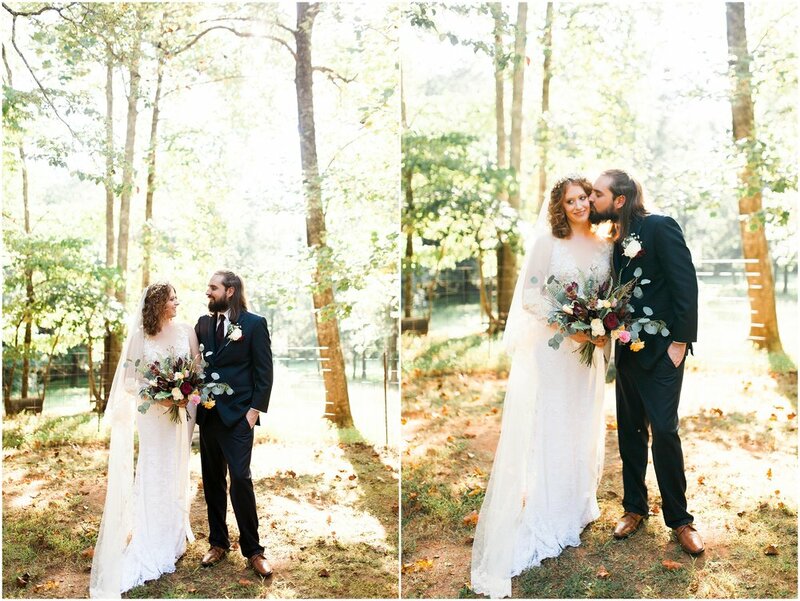 <3 The Ruins at Kellum Valley is the most versatile and pretty wedding venue I've ever seen. They've got mountains, ruins, forests, barns, and pretty houses. Like what? Venue Goals! 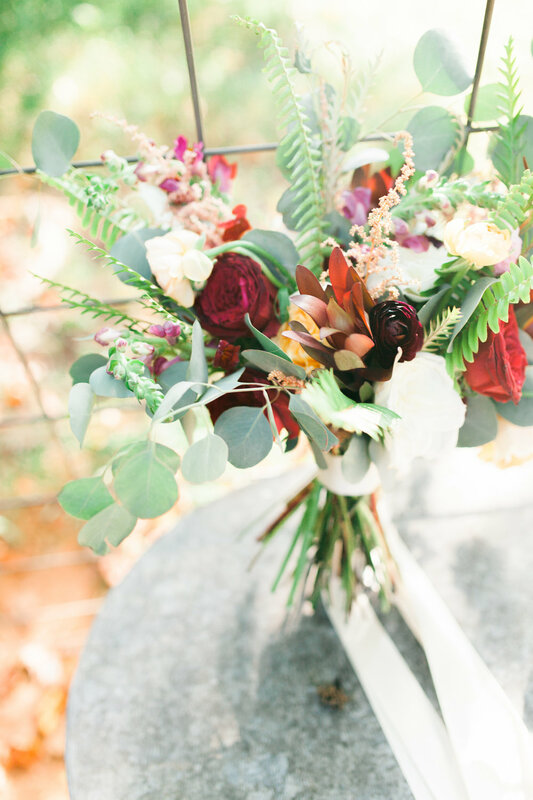 Allegra did an incredible job with planning her wedding. Oh and did I mention that she made her own dress?! Yeah. I know. 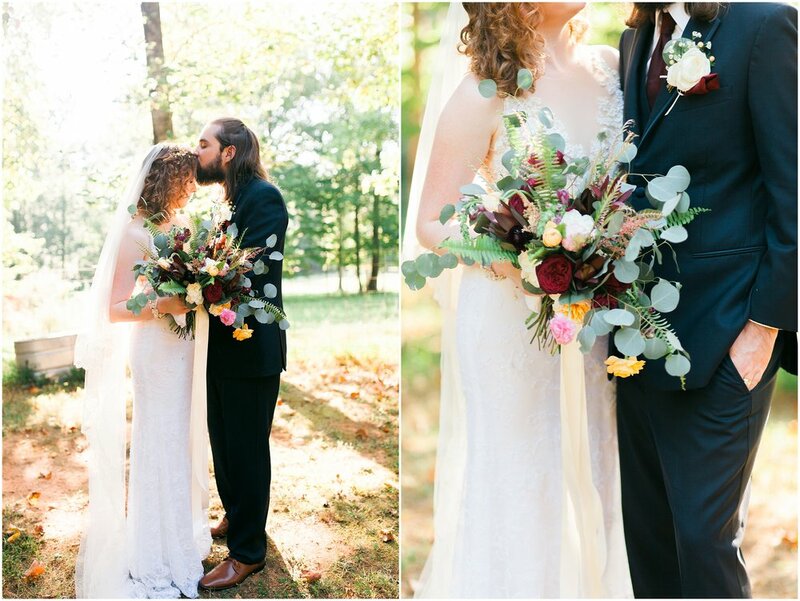 Their ceremony was set in front of the north Georgia mountains, and their reception was placed in the ruins. Jeff and Allegra were so lovey dovey all day, it makes my heart happy. They couldn't keep their eyes off of each other. Also, I really love that big pops of color is coming more an more in style because I LOVE COLORS.